We now come to the crucial question for the whole new theory: Is it able to account for the properties of the hydrogen atom? In the 1960s, physicists were asked to identify the greatest physicist who ever lived. Competing for the top spot were Isaac Newton and Albert Einstein. Coming up third was a scientist who lived in the third century bc, Archimedes. For many reasons, Newton and Einstein qualify for this honor. Newton essentially brought heaven and Earth together by demonstrating convincingly that the same laws applied to each, and by this he established the universality of physical laws. Einstein crafted the special and general theories of relativity, fundamentally changing the spatial and temporal stage on which the events of the physical universe are played out. Relativity theory was one of two twentieth-century theories that revolutionized physics; the other was quantum mechanics. If the same physicists who named Newton and Einstein as the all-time greatest physicists were asked what theory of physics has had the most pervasive influence on physics and physicists' view of the world, they would undoubtedly name quantum mechanics. For although relativity theory rebuilt the space-time stage on which nature's events unfold, quantum mechanics changed in a most fundamental way the character of physical laws obeyed by these events. The quantum idea made its appearance in 1900 at the hands of Max Planck. Its implications were recognized by Einstein who, in recalling his attempts shortly after 1900 to understand the quantum theory, remarked, "It was as if the ground were pulled out from under one. "1 The solid footing underlying the work of physicists had indeed been ravaged by Planck's quantum idea and for the next twenty-five years a mood of crisis hung over the discipline, with anomalies following on the heels of paradoxes. Evidence, in the form of hard data amassed in the laboratory, is the grist of physics. Between 1900 and 1925, the evidence that accumulated revealed behaviors at the atomic level that stumped physicists. On the one hand, behaviors were observed that were localized in character. For example, Einstein demonstrated in 1905 that light, long known for exhibiting wave behaviors, was found to interact with atoms and electrons as though it were a particle. In an even more dramatic way, Arthur Compton demonstrated in 1923 that light bounces off an electron as though the two were tiny billiard balls. Similarly, electrons were observed to strike a detector screen at a particular spot just as a pebble strikes the surface of a pond at a particular point. So both light and electrons exhibited a localized behavior characteristic of a particle. The dual wave-particle character of light and electrons was, as Einstein said, an enigma. Inherently, particles and waves are contradictory in nature. A pebble has a definite location; water ripples do not. A pebble follows a definite trajectory on its way to the water's surface and as it sinks below the surface; water ripples do not have a definite trajectory. Pebbles can be pushed to greater and greater speeds; waves cannot be pushed—waves have one speed that depends on the medium carrying the wave. The antithetical nature of localization, in the case for a particle, and delocalization, in the case for waves, defied unification. Once again, Einstein captured the conundrum facing physicists in 1924 when he wrote, "There are therefore now two theories of light, both indispensable—as one must admit today despite twenty years of tremendous effort on the part of theoretical physicists—without any logical connection. "3 Einstein could have written the same statement about particles. Localization and delocalization express the ideas of discreteness and continuity. The quantum world with its atoms, electrons, and photons is characterized by discreteness. By contrast, the living world, that is, the world of our experience, is characterized by continuity. As we seek to understand the quantum world, we are handicapped because our imaginations are the products of our experience. To our way of thinking, localization (discreteness) and delocalization (continuity) are contradictory. Yet both the electron and light do what they do despite our conceptual chagrin. The electron is just the electron and light is just light. The chal lenge is to construct a conceptual bridge between these disparate worlds. In 1925 the young German physicist Werner Heisenberg began work on just such a bridge. In the summer of 1925, Heisenberg wrote the first draft of his epoch-making paper. He was only twenty-three, but by that time, he had received his doctoral degree from the University of Munich, where he had worked under the direction of Arnold Sommerfeld; he had spent over a year in Göttingen working with Max Born; and he had spent several months in Copenhagen collaborating closely with Bohr. So, although Heisenberg was a young man, he had learned from and collaborated with some of the world's leading physicists. Heisenberg was a brilliant student with superb theoretical insight and mathematical skills. He was not adept in the laboratory, however, and this shortcoming cast a pall over the seminar room in the Theoretical Physics Institute in Munich on July 23, 1923. Professors had gathered here to administer Heisenberg's oral exam, the final hurdle between him and his doctoral degree. In the room were Sommerfeld and Willy Wien, the head of experimental physics. The twenty-two-year-old Heisenberg breezed through the challenging theoretical questions. Then came Wien's turn to quiz the candidate. Heisenberg stumbled and was unable to answer Wien's questions. Sommerfeld and Wien had their differences and Wien did not support conferring the degree on Som-merfeld's prize student. After heated discussions concerning the relative merits of theoretical and experimental physics, a compromise was reached: Heisenberg was given the second lowest passing grade. Humiliated, Heisenberg soon left Munich and headed for Göttingen, where he was to assume the position of assistant to Max Born, director of the Institute of Theoretical Physics. Heisenberg took advantage of the Göttingen environment and learned new mathematics by attending classes given by Hilbert and Courant. As for physics, Heisenberg struggled long and hard to extend the quantum principles to the second simplest atom, helium. Helium, however, is not hydrogen and the number-two atom did not succumb to Heisenberg's efforts; furthermore, the principal ideas he developed in his effort to tame helium were harshly criticized by both Wolfgang Pauli and Bohr. When Heisenberg left Copenhagen in April 1925 to return to Gottingen, his days as a student were over. On April 21, Heisenberg wrote a letter to Bohr thanking him for his generous hospitality during his Copenhagen stay. "With respect to science," Heisenberg wrote, "the past half year was for me the most beautiful of my entire life as a student. I am almost sad about the fact that I must carry on wretchedly alone by myself in the future. "8 Heisenberg was about to embark on his own work. In this solitude, he would quickly create the first version of quantum mechanics. With youth, commitment is to the future, not to past ideas. This is why young physicists are able to make a clean break with the past. At the same time, evidence shows that a struggle often ensues in the mind of a young scientist who sees a new founda-tional principle that is at odds with those learned as a student and held dear by mentors and colleagues. About one month before Heisenberg laid the formal foundation of quantum mechanics, he wrote a letter to Bohr in which he revealed, "Recently I have been occupied with the intensities [of spectral lines], notably in the case of hydrogen. . . . The present conditions are still not entirely sufficient to obtain the in-tensities. "9 The intellectual context underlying Heisenberg's remark was the Bohr-Sommerfeld model of the hydrogen atom; specifically, whether the light emitted in a spectral transition is bright or dim. With great intellectual exertion physicists crafted new ideas that, for a short time, appeared promising, but when analyzed further, fell short. Again and again, hopes soared, then plummeted. In this gloomy context, the basis for a new approach began to take form in Heisenberg's thinking during the spring of 1925. The intensities of spectral transitions were a part of his new approach. He began to think about what was observable and what was inherently unobservable. Bohr's model of hydrogen was based on quantities that were unobservable. For example, the position of the electron in the hydrogen atom cannot be observed; therefore, Heisenberg set it aside as a fruitless idea. Likewise, electron orbits cannot be observed and so he ignored the idea of atomic orbits. In directing his attention to observable quantities, Heisenberg focused on the principal data that spawned the quantum revolution; namely, on the frequencies and intensities of spectral transitions. Spectral frequencies and intensities were experimentally observable; the coordinates of the electron and the orbits of the electron were experimentally unobservable. Heisenberg came to the conclusion that the physics of the atom should be expressed only in terms of observables. On June 7, 1925, Heisenberg left Gottingen for what may be called a sick leave. His head was reeling not only because of the ideas that had taken form in his thinking, but also because of a pollen-induced allergy. During the next two weeks, on the rocky North Sea island of Helgoland, Heisenberg had the breakthrough that quickly led to the first version of quantum mechanics. 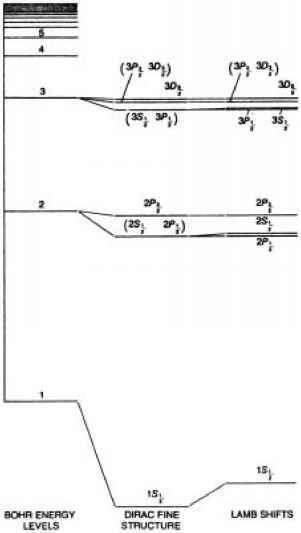 In this creation, Heisenberg replaced position variables, measureable for planets, with the frequencies and intensities of spectral transitions, which are measureable for atoms. In other words, he discarded the position, x, of an electron in the atom and replaced it with a new descriptive variable relating to either the frequency or the intensity of spectral transitions between two energy states. After he developed some relationships for the new variables, he drew on basic Newtonian physics to describe how these variables change with time. Since an atom has the potential for many, many spectral transitions, each with different intensities, Heisenberg's quantum mechanics involved many, many equations. By itself, Heisenberg's Helgoland creation was provocative, but incomplete. Sometime around June 20, Heisenberg left Helgoland and started back to Gottingen via Hamburg, where he visited Pauli. Heisenberg informed Pauli of his Helgoland results and was surprised to receive Pauli's encouragement rather than criticism. Over the next two weeks, Heisenberg worked hard to bring his Helgoland work to a form suitable for publication. On July 9, 1925, Heisenberg completed his manuscript. At this stage, Heisenberg's manuscript could be judged neither right nor wrong. Heisenberg had tried to apply his new theory to the hydrogen atom, but was unable to do so. This failure left him discouraged and uncertain about his new approach. Nonetheless, his ideas, as laid out in the paper, were provocative. With no way to gauge the significance of his new ideas himself, Heisenberg realized that he needed an independent critique. 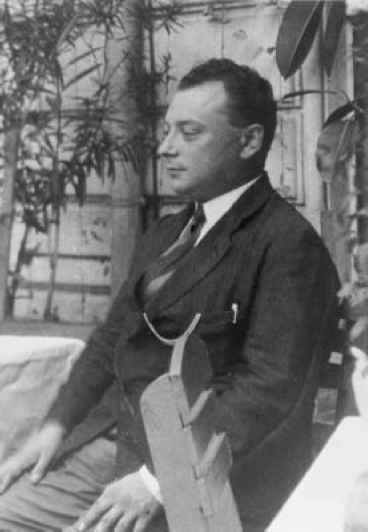 There was no one better suited to the task than his friend, Wolfgang Pauli (see Figures 7.1 and 7.2). homework of the younger Heisenberg, he would tell Heisenberg, "You are a complete fool." Heisenberg would only work harder in response to Pauli's barbs. So, given his uncertainty about the efficacy of his new theory, Heisenberg needed Pauli's judgment. Heisenberg transmitted his manuscript to Pauli in July 1925. In the covering letter, Heisenberg wrote that he wanted either to complete his manuscript and submit it for publication or to burn it. To help in this decision, he asked for sharp criticism. In a few days, Heisenberg had his response: Pauli was jubilant. At long last, he saw in Heisenberg's manuscript a rational basis for proceeding with the physics of the atom. With Pauli's support, Heisenberg took his manuscript to Born in mid-July and asked him to decide whether the manuscript should be published. Born became so fascinated by Heisenberg's manuscript that he could "hardly sleep at night." His sleep was disturbed by a vague memory that refused to come into the light. Suddenly, after days of thinking devoted to Heisenberg's manuscript, the vague memory slipped out of the shadows. Born looked at Heisenberg's equations with their many, many spectral frequencies along with their many, many intensities and he recognized that they could be expressed in terms of matrix mathematics. Born sent Heisenberg's paper to the leading journal of physics, Zeitschrift für Physik, for publication and Born, along with Pasqual Jordan, began to develop the mathematics that would bring power to Heisenberg's ideas. In less than four months, two papers—the first by Born and Jordan and the second by Born, Heisenberg, and Jordan—were written in which the mathematical foundation of quantum mechanics was completed. Heisenberg was scheduled to give a talk at the University of Cambridge on July 28, and after he gave his manuscript to Born for critique, he left for Cambridge. 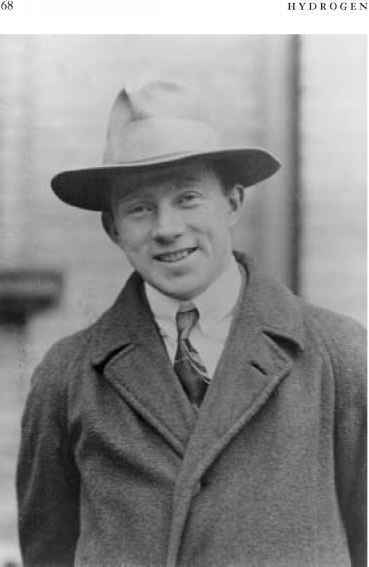 Heisenberg did not talk about his just completed work, but Ralph Fowler, who was in the audi ence, had heard the rumor of Heisenberg's recent work. When Fowler received galley proofs of Heisenberg's paper a few weeks later, he immediately sent them to his student Paul Dirac. Dirac was yet unknown in the community of physicists because he had started in electrical engineering and was only twenty-three. But Dirac was soon to become one of the elite group of physicists who laid the foundation of quantum mechanics. would it explain the spectrum of the hydrogen atom? Pauli had great facility with mathematics, but he was disturbed by the gnawing worry that Born's complicated matrix mathematics would retard or even thwart the full development of the physical ideas, which, after all, were the most important. Pauli, in fact, had refused to help Born in his mathematical development. Born and Jordan, who embedded Heisenberg's ideas in the framework of matrix mathematics, attempted to apply the new formalism to the hydrogen atom, but they failed. Despite his skepticism, Pauli learned the intricacies of matrix mathematics and applied the Heisenberg version of the new quantum mechanics to the hydrogen atom. In less than three weeks, Pauli obtained the same formula that Bohr had obtained in 1913, only this time the route to the formula was a coherent theory—the new theory of quantum mechanics. "Herewith," wrote Pauli, "it has been demonstrated that the Balmer terms come out directly from the new quantum mechanics. "13 So momentous was this demonstration that the skeptic Pauli became a believer in the matrix mathematical formulation of Born, Heisenberg, and Jordan. Heisenberg was the first to hear the news. He was filled with joy and a bit of awe at Pauli's ability to accomplish the feat so quickly. Bohr heard the news almost as quickly as Heisenberg. "To my great joy," wrote Bohr in a November 13 letter to Pauli, "I heard . . . that you have succeeded in deriving the Balmer formula. "14 Bohr had reason to be happy; what he had done for the Balmer formula, Pauli had done for the new quantum mechanics. With the hydrogen spectrum explained, the new theory of quantum mechanics had passed the crucial test. What remained were simply many, many details.